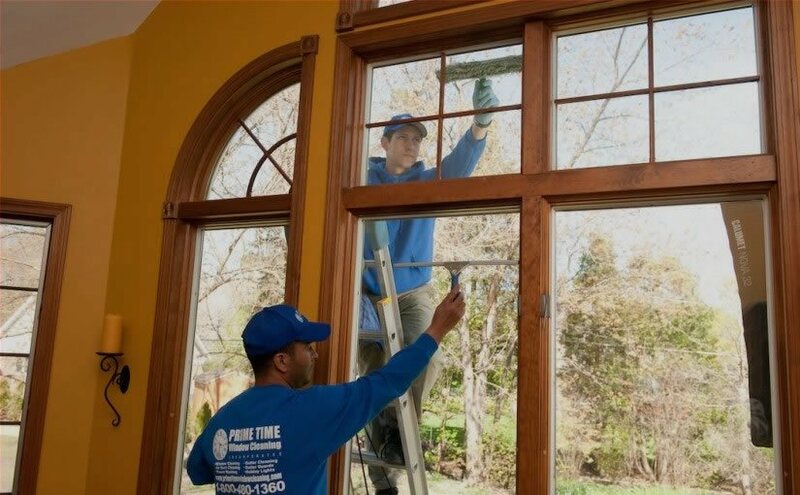 As specialists in gutter cleaning in Chicago, we know that your home’s gutter system plays a much larger role than most homeowners realize, helping to keep your home protected from heavy rains, snow and ice during the course of the year. Properly maintained, your gutter system should last 20-50 years, and to help you understand the importance of proper maintenance, we’ve put together this brief list, pointing out some of the benefits you’ll get from the regular cleaning of your home’s gutters. The primary function of your home’s gutters is to channel rainwater off your rooftop and away from the foundation of your home. This channeling ensures that the water doesn’t seep beneath your home’s foundation, weakening it and causing serious issues in the future. Prolonged exposure to this kind of moisture can weaken and deteriorate certain parts of your home’s structure. That’s why it’s important that your gutter system is working properly at all times. Professional power washing done by Prime Time can help eliminate any buildup, clogs or other issues that could damage your gutters and interfere with the proper flow of water down your roof and away from your foundation. If your gutter system isn’t working properly, directing rainwater away from your home, that water can easily find its way into your home’s basement or other low lying areas. This situation often occurs as a result of clogs or debris that could have been avoided with a little preventative maintenance. This flood water is not only bad for your home, but it can also ruin your landscaping by saturating your plants with too much water. 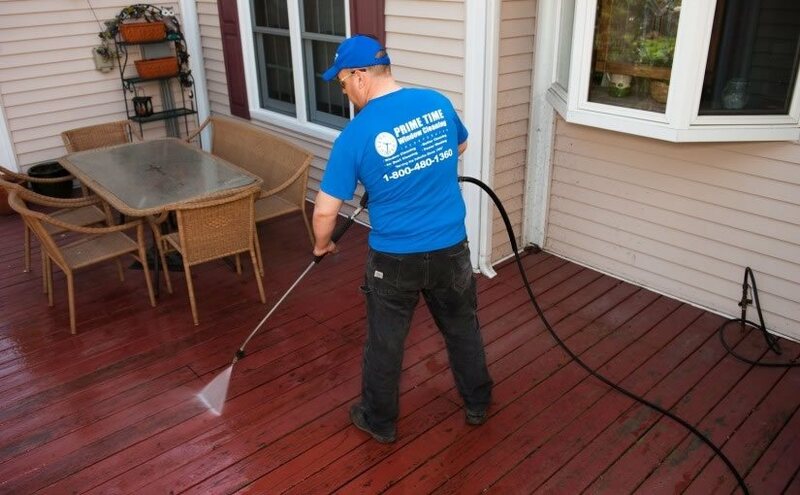 With regular pressure washing, you can ensure that these clogs and buildups never occur and avoid a lot of problems. Clogged gutters can lead to all kinds of expensive problems. For example, water flowing down the sides of your house can soak into fascia boards and siding and lead to expensive repairs. Accumulated gunk in your gutters can significantly shorten their lifespan, while pools of water standing in clogged gutters are a natural breeding ground for mosquitos that could be carrying crippling diseases. In short, regular gutter cleaning is an integral part of maintaining your home and should never be neglected. When you’re ready for gutter cleaning in Chicago, contact us and let our professionals provide you with Chicagoland’s premier cleaning and maintenance.